Experienced mountain bike professional Andrew Hill will be banking on a strong partnership with colleague Marco Joubert to try to land another title in the PwC Great Zuurberg Trek this weekend. The Durban-based rider is preparing for a tough weekend of racing in the three-stage event that takes place at the Zuurberg Mountain Village, just outside Port Elizabeth, from Friday. Hill won the title with Adriaan Louw a year ago and he and Joubert, riding for TIB Insurance-Momsen Valley Light, are eyeing another podium spot after forming a formidable combination this season. “Marco has some very good form at the moment so I’ve definitely got the focus and team for the title defence,” said the 35-year-old. Hill said he looked forward to some serious competition against the likes of BCX’s Waylon Woolcock and HB Kruger, who beat them to the title at the Winelands Encounter last month. The latter followed that up with a comfortable victory at the Paarl MTB Classic last weekend. “Waylon and HB will definitely be a tough team to crack, but we’ll be up to the task and fighting for every minute on the results sheet. “It’s always good to have the attitude that anything is possible in a stage race and you need to plan for most eventualities. With his knowledge of the course, Hill said they would know how to manage their efforts. “The Zuurberg Pass will be the biggest challenge in the race and, having ridden it a number of times, we’ll both know where we can push or where we can save energy,” he said. Hill said the PwC Great Zuurberg Trek provided a proper test, with the amount of single-track on the route and the difficulty of the queen stage ensuring they had to “put in the hard yards”. “It is quite demanding on the body from a racing perspective. There is a lot of single-track that really makes you work for kilometres, but it’s very rewarding. “The second day has always been the queen stage and has progressed over the years into a long, decisive stage. 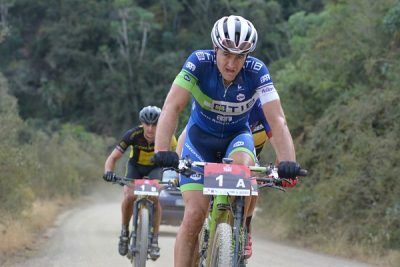 Hill has become a regular at what has become one of the Eastern Cape’s premier mountain bike races and said the camaraderie and varied terrain were the outstanding features for him. “Having raced it for the last three years I have marked it as definite return event,” he said. He said the terrain on offer also made it a special experience. “The thorn veld and the citrus areas are great and then you go up the famous Zuurberg Pass and into the back of the Addo Elephant National Park. In addition, he said the organisers were always trying to raise the bar in terms of the hospitality.